Never fear! 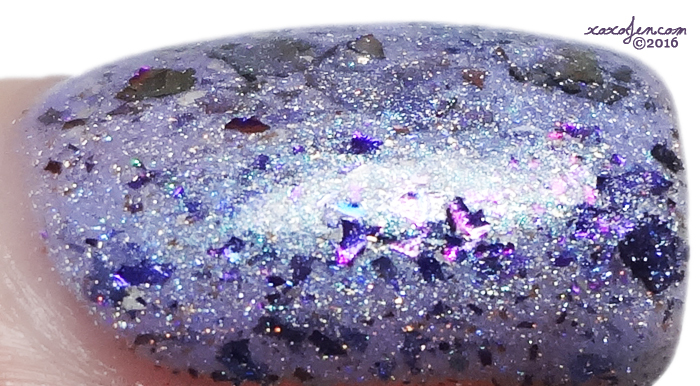 The creators and vendors of the event got together and are creating polishes available for sale to everyone before the Con! How cool is that? The releases are done weekly on Sundays at 8am Central. This week's launch will feature week 4 polishes from Ever After and Pahlish. A lavender base that twinkles like fairy dust and is packed with shifting flakes. The formula was buttery and applied evenly; I wore three coats and topcoat. 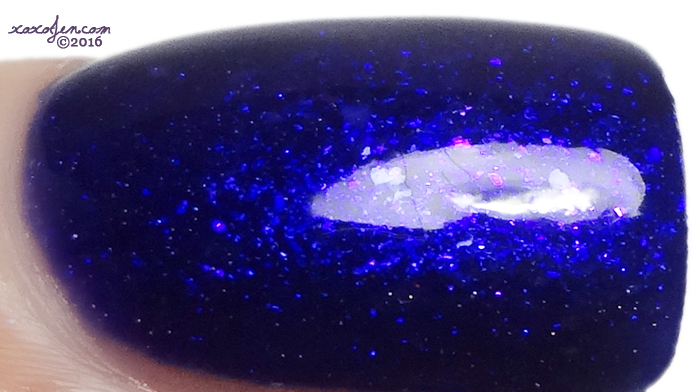 An indigo jelly base packed with silvery flake and shimmer. The formula was very fluid and applied evenly; I wore two coats and topcoat. Recap of the Week 3 Polishes in case you missed those. Both of them look pretty awesome!